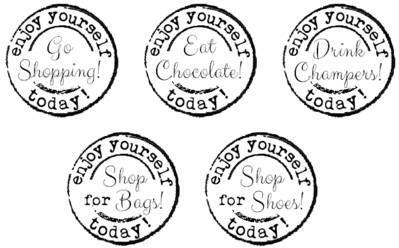 A grunge circle stamp with the typewriter text 'Enjoy yourself today!' Stamped area is 3cm x 3cm. 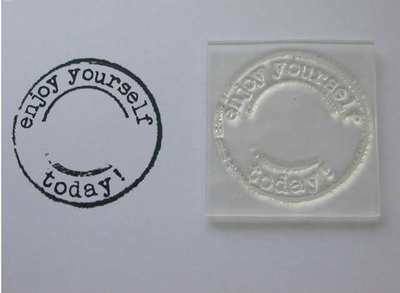 Clear unmounted photopolymer stamp, use with acrylic block. 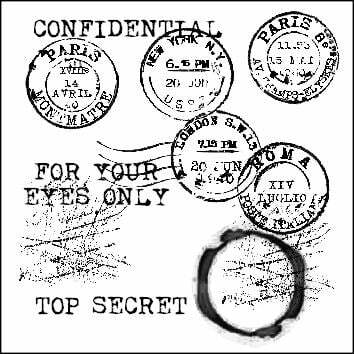 Add one of the Little Words stamps to the centre. See some great examples by Susie Sugar in the Gallery.